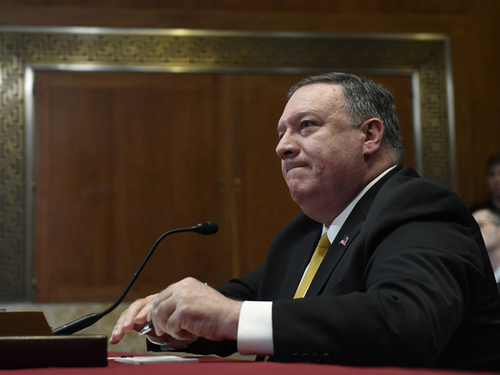 US Secretary of State Mike Pompeo, speaking before the Senate, expressed his readiness to begin negotiations on the extension of the strategic offensive arms treaty (START III). Until recently, this remained an intrigue: after the United States withdrew from another landmark agreement – on medium-range and shorter-range missiles (DSMD), there were doubts that Washington wanted to extend START-III. But Pompeo not only invited Moscow to the negotiating table, but also offered to include China. MK asked the expert to explain whether the United States changed its course towards dismantling the nuclear agreements. Earlier, Pompeo stressed that Moscow does not comply with another nuclear treaty – RSDM. These accusations became the reason for the United States to withdraw from the agreement, which Russia later did. Russian Foreign Minister Sergei Lavrov noted in early January: there are big doubts that Washington intends to extend START III. The experts also warned about this. What was the reason for the sharp change of course? And can you believe the words of Pompeo? “The United States is under psychological pressure from its allies due to the fact that Trump is incapable of speaking,” Dmitry Danilov, head of the European Security Department at the Institute of Europe, RAS , said in an MK commentary. . “Therefore, they need to demonstrate not closed doors, but at least a willingness to talk.” What they are doing. Another thing is whether they really want to agree on strategic weapons. I have the impression that they do not need it. The withdrawal of the United States from the INFO radically changes its attitude towards START III. The demonstration of readiness for negotiations still does not give any guarantees that the United States seriously intends to move in this direction. For Washington, after all, any answer to Russia will be beneficial. If Moscow says: “yes, we will negotiate”, this strengthens Trump’s position regardless of whether an agreement can be reached or not. If Russia refuses, it will remove most of the responsibility and claims from European allies from Trump. Mike Pompeo also added that China could be included in negotiations on the extension of the treaty. However, it is not entirely clear why. After all, the main point of START-III is the restriction of deployed nuclear warheads of Russia and the United States to 1,550 units. It is estimated that China has only about 280 nuclear warheads. The United States constantly makes references to China, this is not surprising, – continues Dmitry Danilov. – This may be an attempt to play along with Beijing, to show that it is very important for Washington, and he is ready to take into account his interests. Thus, without special obligations, the status of China is emphasized. But I don’t see the real politics behind this. These are political and diplomatic maneuvers; they have no desire to achieve any practical results from the point of view of ensuring an arms control regime.